To many people the Sustainable Development Goals (SDGs) targets are focused on 2030 as the completion date. For 23 targets that is not the date of completion. For twenty it is 2020 and for the remaining three it is 2025. 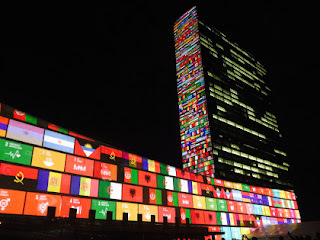 · or had already happen such as the setting of the Biodiversity targets by the CBD or the SAICM target set at the 2002 Johannesburg World Summit on Sustainable Development (WSSD). This brings into question should something be done to updatethe targets for these 23 to bring them in line with the 2030 timeline or not? One of the important developments that will frame this conversation is that the indicators that have been developed for these targets will give Member States real information on progress towards the targets and baseline data for any discussion on developing new targets. This wasn’t the case when the SDGs were agreed to. This paper looks at a number of suggestions which Member States might be interested in considering. In the production of this paper I consulted the relevant UN Agencies and Programmes and a number of Member States on their thinking on what to do with the targets. On the broad overview there are five suggestions that Member States may want to consider. 1. That no new targets will be added to the SDGs to update those that have fallen. 2. That no new targets will be added to the SDGs to update those that have fallen but there will be continued reporting on the target and indicators. 3. That any updated targets that are agreed through whatever process has to be endorsed by the UN General Assembly through tis Committee Structure. 4. That any updated targets agreed by the relevant UN body substitutes the old target without going through renegotiation in the UNGA. Where there is no UN body that can address that target then it is done through the UN General Assembly. 5. The SDG Open Working Group is reconvened. This paper will look at each of the options the pros and cons. The paper will not make a recommendation but hope that the discussion helps Member State and others to think through early enough what is the best path forward. To start with this table will collect what I understand in the present thinking under each of the targets. This I am sure will change as the paper acts as a primer for discussion. 2.1 By 2020, maintain the genetic diversity of seeds, cultivated plants and farmed and domesticated animals and their related wild species, including through soundly managed and diversified seed and plant banks at the national, regional and international levels, and promote access to and fair and equitable sharing of benefits arising from the utilization of genetic resources and associated traditional knowledge, as internationally agreed. 4.a By 2020, substantially expand globally the number of scholarships available to developing countries, in particular least developed countries, small island developing States and African countries, for enrolment in higher education, including vocational training and information and communications technology, technical, engineering and scientific programmes, in developed countries and other developing countries. UNFCCC Paris text 53. Oceans Conference is 2020? Overall what are the Options that Member States might consider? Option 1: That no updates targets will be added to the SDGs to replace those that have fallen. Option 2: That no updated targets will be added to the SDGs to replace those that have fallen but there will be continued reporting on the target and indicators. Option 3: That any updated target that are agreed through whatever process has to be endorsed by the UN General Assembly through its Committee Structure. This option recognizes that the UNGA had agreed the SDGs and their targets so is the only ‘official body’ that can update them. Option 4: That any updated target agreed by the relevant UN body substitutes the old target without going through renegotiation in the UNGA. Where there is no UN body that can address that target then it is done through the UN General Assembly. Option 5: The SDG Open Working Group is reconvened. Nearly all the original negotiators have moved on as has one of the co-chairs. Whatever positive relationships that were built and achieved the SDGs and their targets would need to be rebuilt. This might not be possible or desirable. If Member States are considering options 3 or 4 then I have some suggestions how that might be undertaken. In all cases these would be by an intergovernmental process. Goal 6: Updating this could be undertaken by the CBD COP. Goal 9: This is on communication and internet the process under the World Summit on the Information Society (WSIS) is generally on a ten-year cycle so would not be meeting again until 2025 or 2026. This target could be addressed by the Inter Agency Expert Group on the SDGs and agreed through the Statistical Commission. The present target is for 2020. Goal 12: The easiest target that can be updated is the SAICEM target as there is a process that is already underway to address that in 2020. The original target is one from WSSD in 2002 and which was absorbed into the SDGs. Goal 13: UNFCCC already has a more update target for 2025 and will in xxxx update that target. Goals 14 and 15: For the CBD related targets it isn’t as easy as each of the targets in Goals 14 and 15 except for target 14.1 are amalgams of different CBD targets. One approach that the CBD COP could take is to start with the SDG targets and to update them within the CBD COP . This ensures that irrespectively of the options above the CBD COP as a sovereign body which is made up of biodiversity experts would have set updated targets. 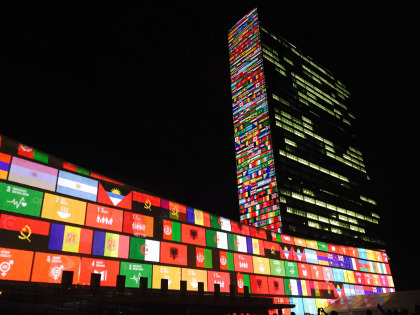 Goal 17: This could be addressed by the Inter Agency Expert Group on the SDGs and agreed through the Statistical Commission which could come forward with an updated target. There are no perfect ways to address the reality that the SDG targets are not all 2030 targets. All the 5 options have merits. My main worry if the targets are not updated within the SDGs is that it will create two levels of targets that will by their nature focus resources and implementation more to those in the SDGs than those not. This paper is meant to be food for thought please do send any comments to me so it might improve.